This Go board is made from high quality varnished beech veneer. The board is double-sided playable - 19 front lines, 13 back lines. Size of the board: 42 cm x 44 x 1.3. Made in the E.U. 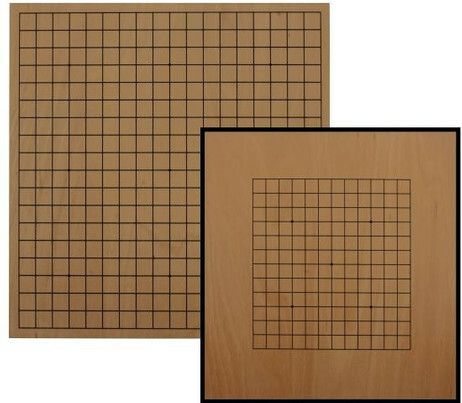 Go is a traditional Chinese-Japanese strategy game for 2 people. Go fascinated by its simplicity and complexity alike. The rules are logical and easy to learn - but provide the basis for an almost unlimited number of variations and possibilities.